Last month, U.S. Rep. Adam Kinzinger (R-IL) introduced H.R. 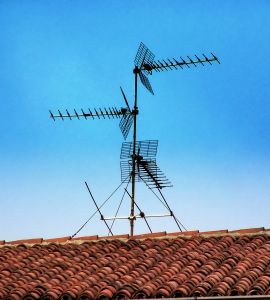 4969, legislation that may invalidate community association rules and architectural standards that govern the installation and use of amateur radio towers and antennas. If H.R. 4969 becomes law, homeowners who want to install a radio tower or antenna for amateur radio use would not have to go through the architectural review process or follow existing community guidelines. We need your help to stop this legislation. Follow this link that will help you email your member of the U.S. House of Representatives. Thank you for engaging in this important effort to preserve America’s community associations’ ability to allow elected neighbors to create rules for the benefit of the community as a whole.